Starview UCC is a Called to Care Ministry congregation. This means that we have a very specific system in place for training and supervising lay people who do caring ministry. This past year, thirteen church members committed themselves to learning skills and developing their talents for the purpose of bringing Christ’s healing love to people who are experiencing a number of stresses in life. Our current Called to Care Ministers specialize in one or more of the following areas: A) Visitation (home, hospital, assisted living, home-communion, etc), B) transportation (to church, doctor's appointments, for errands, etc. ), C) flower delivery, D) meal preparation (post-surgery, during severe illness, post-delivery, etc. ), E) card making and mailing ministry, in addition to F) collecting and preparing gifts for military personnel, college students, children, and others as deemed appropriate. Every Called to Care minister is Safe Sanctuary approved. 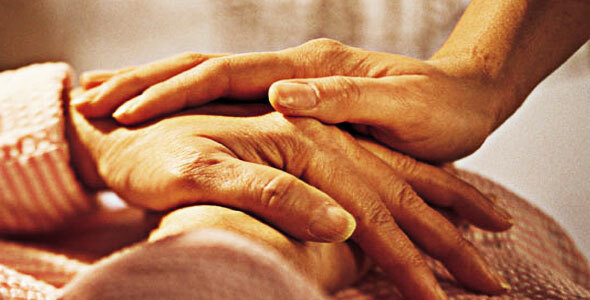 In the beginning, we asked ourselves, "Why a Laity Led Caregiving Ministry?" In other words, "Why, if we have a pastor, do 'regular' church members need to be trained to provide care too?" The answer is based upon the idea that ALL Christians are ministers. The responsibility of passing on God’s love for people is not just for a chosen few, but for all Christians. Likewise, the joy of helping others is the privilege of all Christians, for those who have been given the power of the Holy Spirit for doing ministry. Called to Care lay ministers assume the responsibility of confidentially and effectively caring for others who are hurting. And, they desire the personal joy that comes from sharing Christ’s love with people. The Called to Care Ministry has proven to be a huge blessing in our congregation and larger community. It has many benefits that go far beyond those felt by the people who receive the ministry of a Called to Care minister. The folks who have been through the training have grown - spiritually - as well as in their personal relationships with family and friends. They have learned a great deal about themselves, too. Additionally, Our Called to Care ministers' caregiving knowledge continues to expand as they gather for monthly supervision, guidance, and continuing education. Recently they learned about Hospice Care, Alzheimer's Disease, and Suicide. As those in our congregation and local community receive authentic, confidential, caring ministry, the whole church will be built up and made stronger. And, of course, each of us will have the confident knowledge that when the pains of life come our way, there will be always someone ready to care for us to bring God’s love to us in a special, personal way. In the near future, Starview UCC will offer another training course for other church members who are feeling called to a committed caregiving ministry.